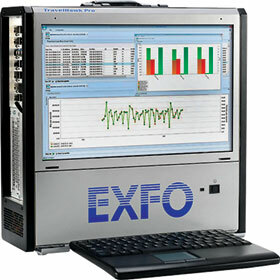 Exfo has revamped TravelHawk Pro – a portable, live network troubleshooting tool for next-generation mobile networks. It can now capture up to 30 Gbps data without dropping any packets, and offers end-to-end user-plane and control-plane data analytics at a rate of over 10 million busy hour call attempts (BHCA). This performance, combined with graphical reports and ease of use, helps mobile network operators improve network quality and substantially decrease the average mean time to repair from days to hours. The system has already been warmly received by tier-1 LTE mobile operators. In addition to providing detailed and automatic IP application detection, TravelHawk Pro performs comprehensive VoLTE analysis including correlated LTE control-plane, SIP, RTP and QoS (MOS/R-factor) analysis and voice playback.